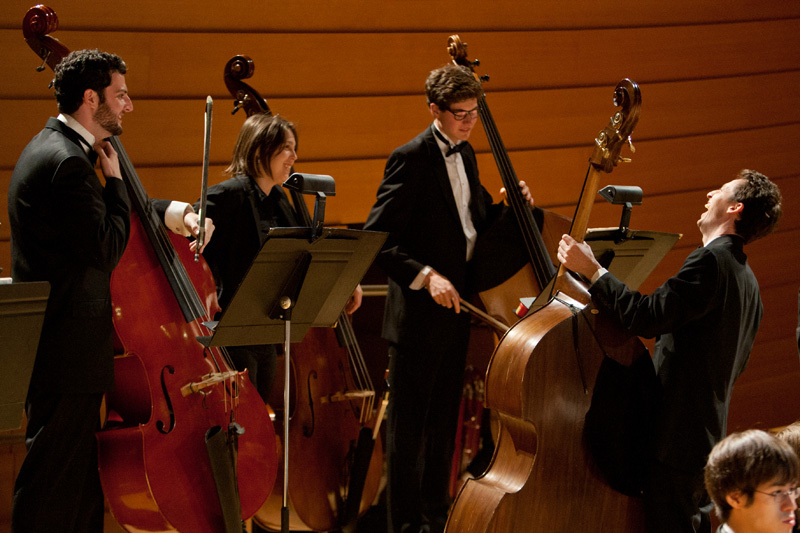 The Conservatory Orchestra is led by Robert Olson and performs several concerts each year in the Conservatory’s White Recital Hall and also at the Kauffman Center for the Performing Arts, Helzberg Hall. Click here for photos from the 2016 Finale concert at the Kauffman Center for the Performing Arts. 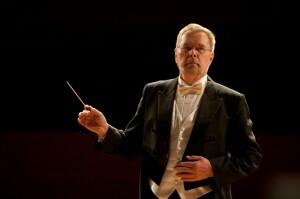 This concert celebrates Dr. Robert Olson’s distinguished 50-year career and his contributions to the UMKC Conservatory. Don’t miss it! Join the Conservatory Orchestra and Conservatory choirs, directed by Robert Olson and Robert Bode, respectively. The performance includes Wagner’s The Ring Without Words; Brazilian composer Heitor Villa-Lobos’ Chôros No. 10, “Rasga o coração” for chorus and orchestra. Villa-Lobos who has said, “I learned music from a bird in the jungles of Brazil, not from academies,” is one of South America’s most famous composers. The winner of the Chancellor’s Concerto Competition also performs with the orchestra. Sept. 15 Conservatory Orchestra, conducted by Robert Olson, 7:30 p.m., WRH, Tickets $8, $6 seniors, UMKC faculty, staff, and all students FREE with UMKC or valid student ID. October 4 Conservatory Orchestra, Conservatory Artist Series, directed by Robert Olson, The program includes Vaughan Williams’ The Lark Ascending, with Benny Kim, violin, and Prokofiev’s Symphony No. 5 in B-flat Major, Op. 100. 7 p.m., Kauffman Center for the Performing Arts, Helzberg Hall. Tickets: $25 general audience, $10, UMKC faculty, staff, and all students with UMKC or valid student ID. October 26–29 Fall Opera, Hänsel und Gretel, by Engelbert Humperdinck, in German. (Conservatory Artist Series) Directed by Fenlon Lamb, with creative costumes and sets designed in paper. Sets by Jeff Ridenour, projections by Kris Kirkwood. WRH, Tickets: $12, general public, FREE for UMKC faculty, staff, and all students with UMKC or valid student ID. November 17 Conservatory Orchestra, directed by Robert Olson, 7:30 p.m., WRH, Tickets $8, $6 seniors, UMKC faculty, staff, and all students FREE with UMKC or valid student ID. Feb. 9, Conservatory Orchestra, 7:30 p.m., WRH directed by Robert Olson. Tickets: $8; $6 seniors; UMKC faculty, staff, and all students FREE with UMKC or student ID. 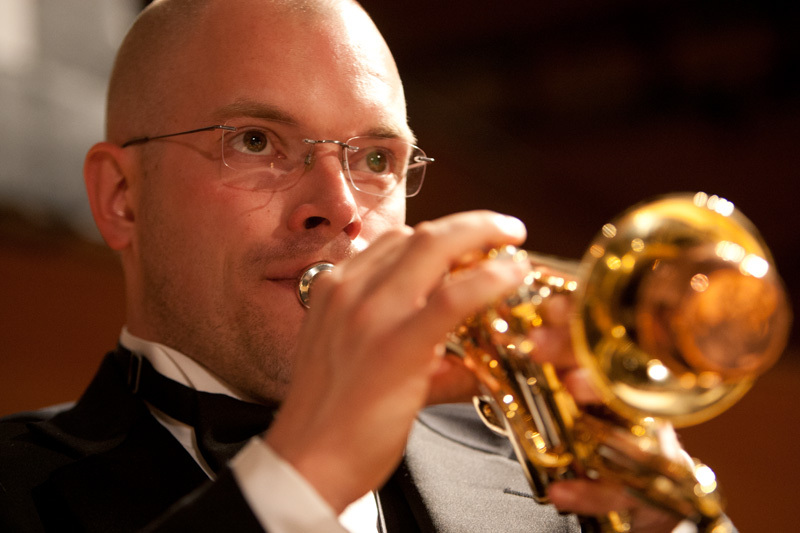 April 24, Conservatory Orchestra, 7 p.m., Helzberg Hall, Kauffman Center for the Performing Arts, Conservatory Artist Series, directed by Robert Olson. Program includes Richard Strauss: An Alpine Symphony, Op. 64 and the Chancellor’s Concerto Competition alternate, Xiangyu Zhao, piano, performing Sergei Rachmaninoff: Rhapsody on a Theme of Paganini, Op. 43. Tickets, $25 general public; UMKC faculty, staff, and all students $10 with UMKC or student ID. 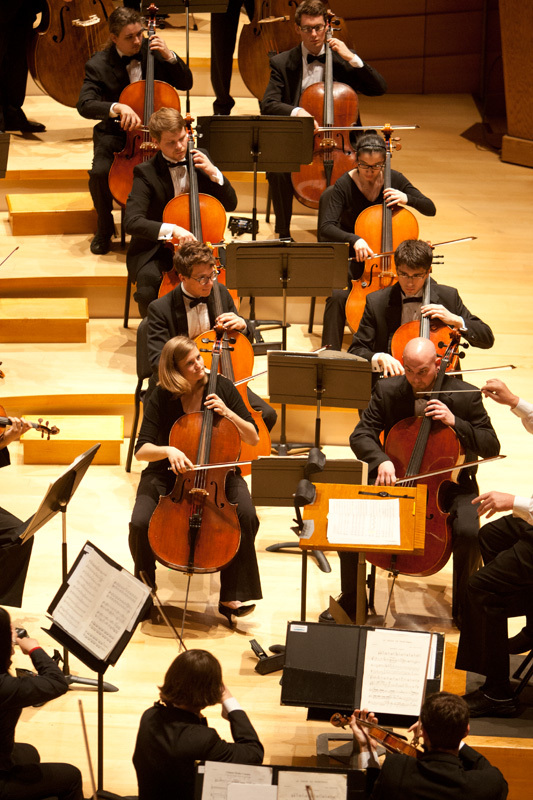 Sept. 16: Conservatory Orchestra, directed by Robert Olson, 7:30 p.m., White Recital Hall, tix $8, $6 seniors; UMKC faculty, staff, and all students FREE with UMKC or student ID. Oct. 20–22: Fall Opera: Puccini’s Suor Angelica and Gianni Schicchi (Conservatory Artist Series), 7:30 p.m., White Recital Hall, Tix $12, general public, all UMKC faculty, staff and all students FREE with UMKC or student ID. Oct. 23: opera matinee, 2:30 p.m., $12, general public, all UMKC faculty, staff and all students FREE with UMKC or student ID. Nov. 4, CRESCENDO: Dream Within Reach, Conservatory Artist Series, includes Conservatory Orchestra, 7 p.m. concert, Helzberg Hall, Kauffman Center for the Performing Arts, Tix $30 general public, $15 for UMKC faculty, staff, and all students with UMKC or student ID. Nov. 11, Conservatory Orchestra, directed by Robert Olson, 7:30 p.m., White Recital Hall, tix $8, $6 seniors; UMKC faculty, staff, and all students FREE with UMKC or student ID. September 18, Conservatory Orchestra, directed by Robert Olson, 7:30 p.m., WRH, Tickets $8, $6, seniors, UMKC faculty, staff, and all students free with UMKC or student ID. October 9, Conservatory Orchestra, directed by Robert Olson, 7:30 p.m., WRH, Tickets $8, $6, seniors, UMKC faculty, staff, and all students free with UMKC or student ID. November 17–20, Fall Opera, Die Zauberflöte, (The Magic Flute) Wolfgang Amadeus Mozart, (Conservatory Artist Series) directed by Fenlon Lamb, guest conducted by Andy Anderson, 7:30 p.m., WRH, Tickets $12, FREE for all UMKC faculty, staff, and students with UMKC or other student ID. 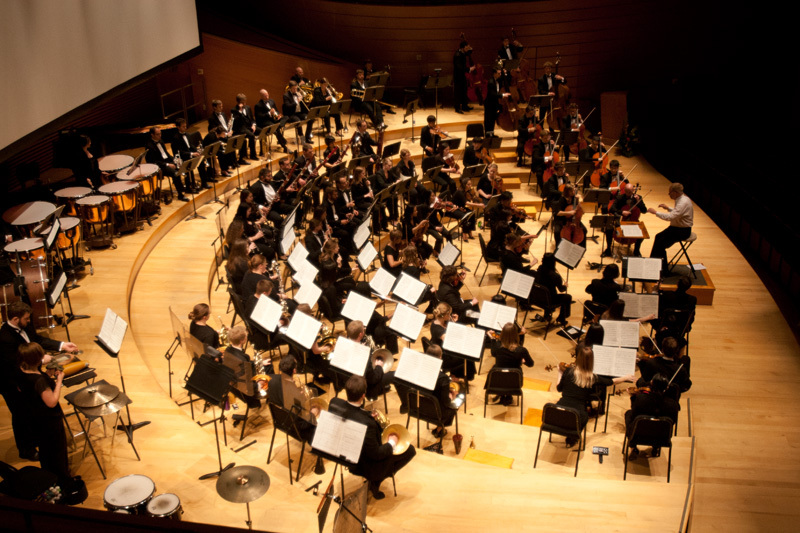 February 11, Conservatory Orchestra, directed by Robert Olson, 7:30 p.m., WRH, Tickets $12, UMKC faculty, staff, and all students free with UMKC or student ID. March 22–25, Spring Opera, Britten’s The Turn of the Screw, directed by Fenlon Lamb, conducted by John Baril, 7:30 p.m., WRH, Tickets $12, free for all UMKC faculty, staff, and all students with ID. May 5, Finale, Conservatory Orchestra and Choirs, directed by Robert Olson and Robert Bode, respectively, 7 p.m., Kauffman Center for the Performing Arts, Helzberg Hall, Tickets $25 and $10. March 17-20, Spring Opera, Mark Adamo’s Little Women, 7:30 p.m., White Recital Hall, tickets $12, $10 seniors, all UMKC faculty, staff, and all students free with UMKC or student ID. 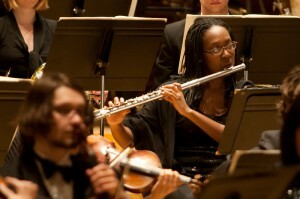 April 6, Concerto/Aria Winners Concert, 7:30 p.m., White Recital Hall, FREE. Featuring the 2015 Concerto/Aria winners performing with the Conservatory Orchestra, directed by Robert Olson, including the winning work of the 2014 Gerald Kemner Prize in Orchestral Composition Competition. Tickets: $25 general public; $10 for UMKC faculty, staff, and all students with UMKC or student ID. September 19 Conservatory Orchestra, 7:30 p.m., White Recital Hall, Tickets $8, $6, seniors, UMKC faculty, staff, and all students free with UMKC or student ID. October 17 Conservatory Orchestra, 2014 Snow Symposium, Two Great Cities Making Music Together. Masters of Ceremonies: Peter Witte, Dean of UMKC Conservatory and Xu Changjun Dean of China’s Tianjin Academy of Music, featuring excerpts from Pulitzer Prize-winning Madame White Snake by composer and ESMF Board member Zhou Long, and fare from Tianjin Academy of Music, 8 p.m., Folly Theater, Tickets, $10, 816-235-6222. November 7 Crescendo, Helzberg Hall, Kauffman Center for the Performing Arts, 7 p.m., The Conservatory’s annual fundraising event for scholarships, with music and dance performed by Conservatory students and faculty; 6 p.m. patron party/cocktails,. Patron dinner in Brandmeyer Hall follows performance. Sponsored by the Friends of the Conservatory of Music and Dance. Tickets for concert only, a Conservatory Artist Series performance, $30 general, $15 for UMKC faculty, staff, and all students with ID. Call 816-235-5982 for sponsorship information. 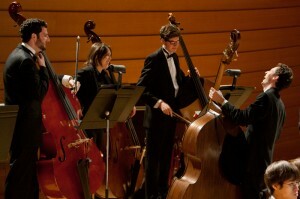 December 10 Conservatory Chamber Orchestra, 7:30 p.m., WRH, FREE. In January 2012, the orchestra performed at MMEA, where they performed Stravinsky’s Le Sacre du printemps [The Rite of Spring]. Robert Olson said, “I have always wanted to perform what is considered one of the most famously difficult pieces of classical music at MMEA, and this year seemed to be the time. The orchestra’s performance was so electrifying that more than 1,000 people leapt to their feet for an instant standing ovation.” At the 2013 Finale on Helzberg Hall stage the orchestra performed Beethoven’s Symphony No. 9, Copland’s Fanfare for the Common Man, and Barber’s Concerto for Violin and Orchestra, Op. 14 with Chancellor’s Concerto Competition Winner, student Filip Lazovski. October 11 Conservatory Orchestra, 7:30 p.m., White Recital Hall, $8, $6 seniors, UMKC faculty, staff, and all students FREE with UMKC or student ID., Tickets, 816-235-6222. Folly for Five Miniseries, Feb. 12, 7:30 p.m., Conservatory Orchestra with Sora Park, piano, Chancellor’s Chamber Competition Winner, Folly Theater, 300 W. 12th, KCMO, Tickets $5, 816-235-6222. April 25, Finale, Mozart’s Requiem with Conservatory Choirs and Conservatory Orchestra, and Strauss’s Death and Transfiguration, 8 p.m., Helzberg Hall, Kauffman Center for the Performing Arts, Tickets $25 general and $10 UMKC faculty, staff, and all students with UMKC or student ID. Tickets, 816-235-6222. 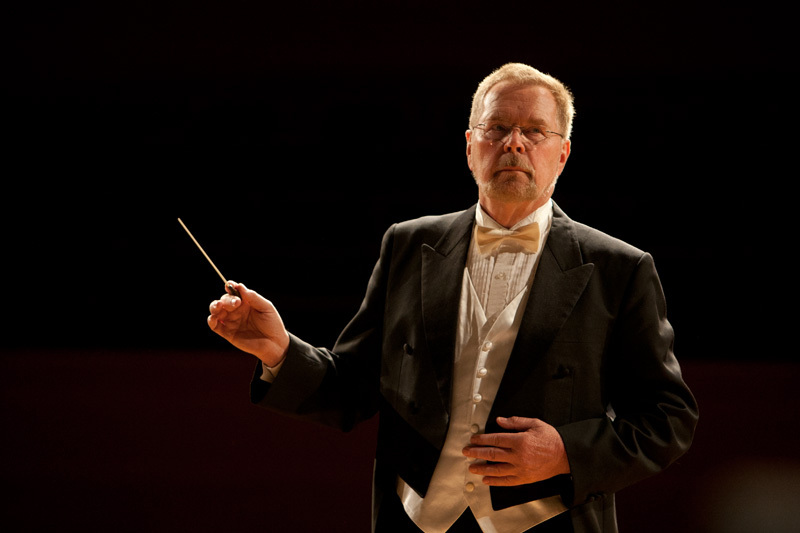 Sept. 21 and October 18: Conservatory Orchestra, directed by Robert Olson, 7:30 p.m., White Recital Hall, Tickets, $8, $6 seniors, UMKC faculty, staff, and all students FREE with UMKC or student ID. December 6–9, Franz Lehár’s The Merry Widow, Performed in German, directed by Marciem Bazell, this delightful operetta is a tale of suitors seeking the hand of a wealthy widow. Elegant ladies, eligible bachelors, can-can dancing, and charm galore, are sure to please. WRH, Dec. 6–8, 7:30 p.m., Dec. 9, 2:30 p.m., Tickets, $12, $10, seniors, UMKC faculty, staff, and all students FREE with UMKC or student ID. April 6, 2013, Concerto/Aria Competition Winners Concert, 7:30 p.m., White Recital Hall, FREE, Featuring the 2013 Concerto/Aria winners performing with the Conservatory Orchestra, directed by Robert Olson. Join the Conservatory Orchestra, choirs, and soloist Filip Lazovski, winner of the Chancellor’s Concerto Competition. The evening includes Copland, Fanfare for the Common Man, Barber, Concerto for Violin and Orchestra, and Beethoven, Symphony No. 9. Tickets, $25 general audience, $10 for all UMKC faculty, staff, and all students with student ID. 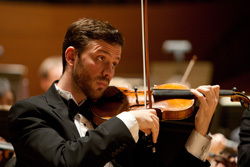 816-235-6222 or call the Kauffman Center ticket office, 816-994-7222. Chancellor’s Concerto Competition Winner, 2013, Filip Lazovski. Conservatory Orchestra rehearses for Finale 2012 in Helzberg Hall.